Start by bringing 1 cup of quinoa and 2 cups of water to a boil without lid. Once vigorously boiling reduce heat to medium-low and put lid on for 15 minutes. Fluff with fork. While quinoa is cooking, cut up your steamed zucchini (to steam, I use a steamer basket), tomatoes, and basil. 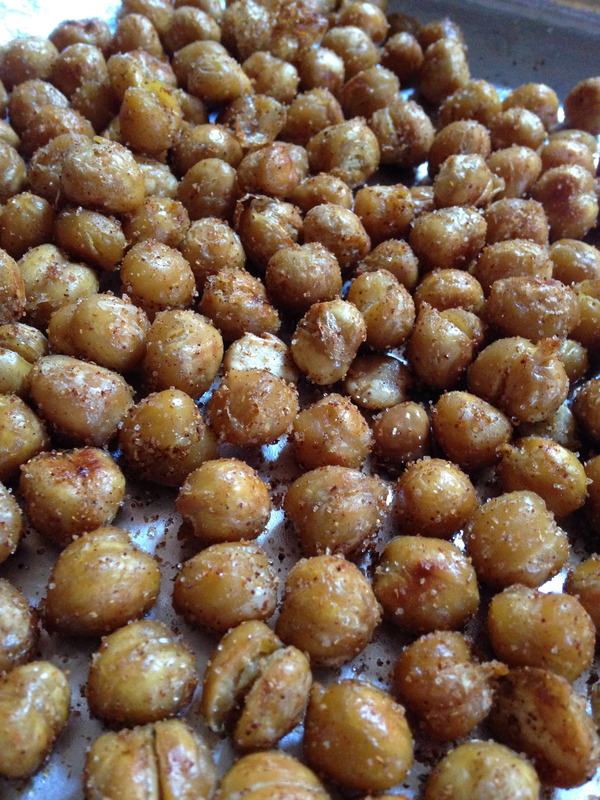 Rinse garbanzo beans. 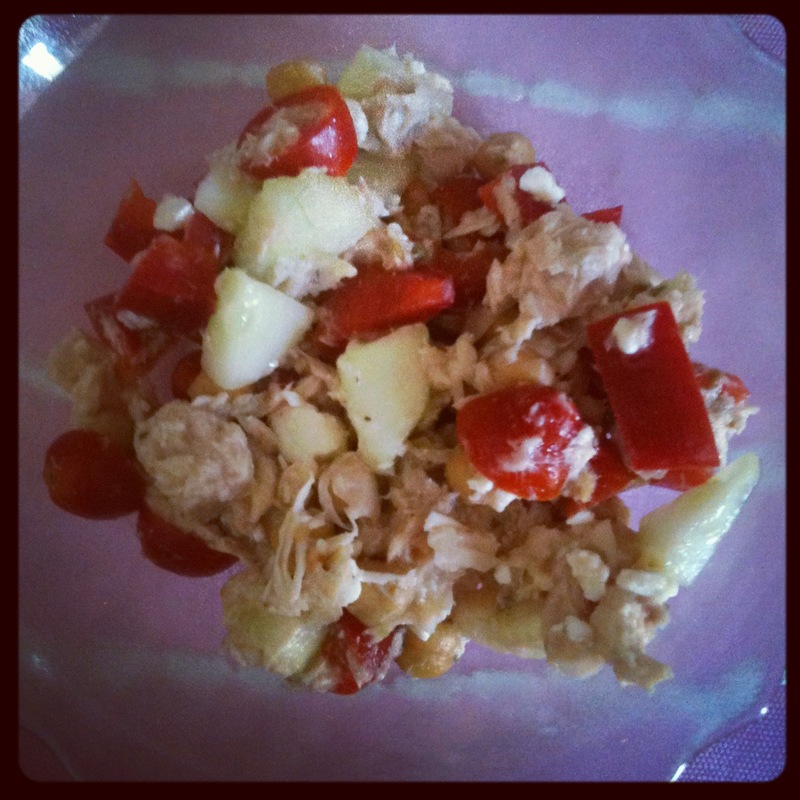 Mix them all together along with the other ingredients and enjoy!! This recipe makes about 6 cups of salad. 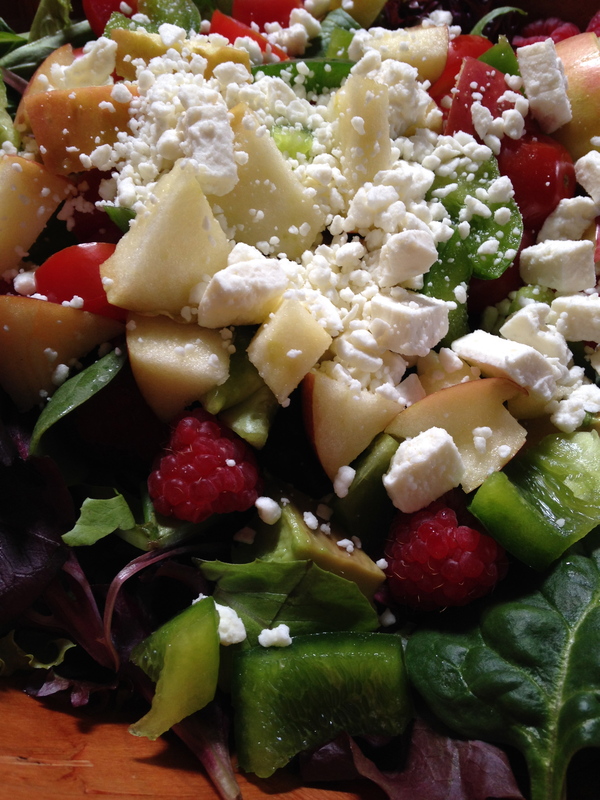 Weight watchers Points Plus 2012: 6 points for each salad! One cup has 10 grams of protein! 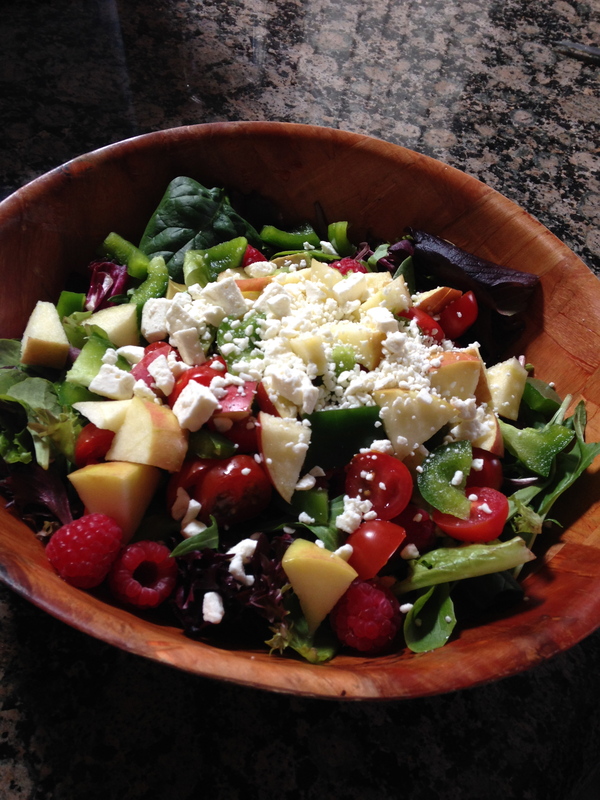 Pair with a fruit salad or yogurt and a piece of dark chocolate for an awesome lunch! First wisk 1/4 cup of pesto into 1/4 cup of red wine vinegar to make your dressing. Use steamer basket to steam the asparagus, with a sprinkle of garlic powder on them. In a separate pot, boil 24 shrimp per package directions. You can salt the water or boil them in broth for a little more flavor if you wish. 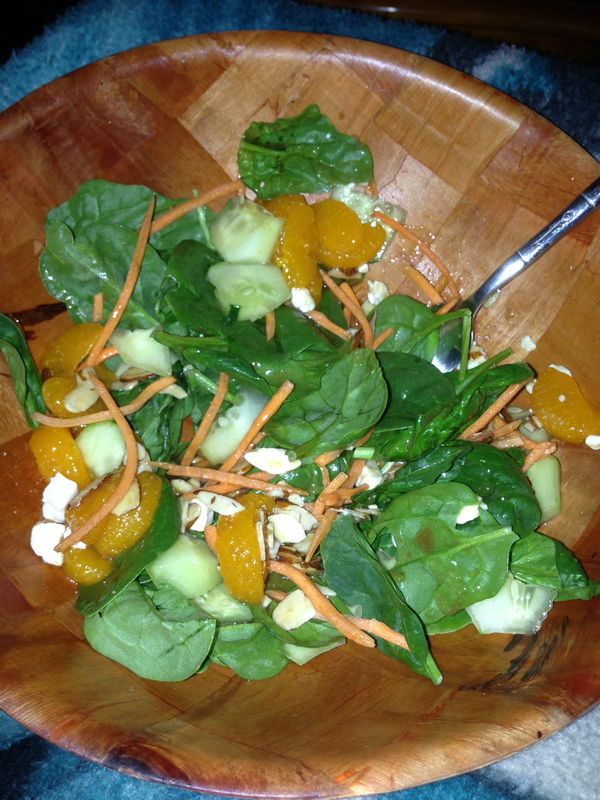 Pile the spring mix into 4 bowls (divide the 5 oz package into 4 bowls). 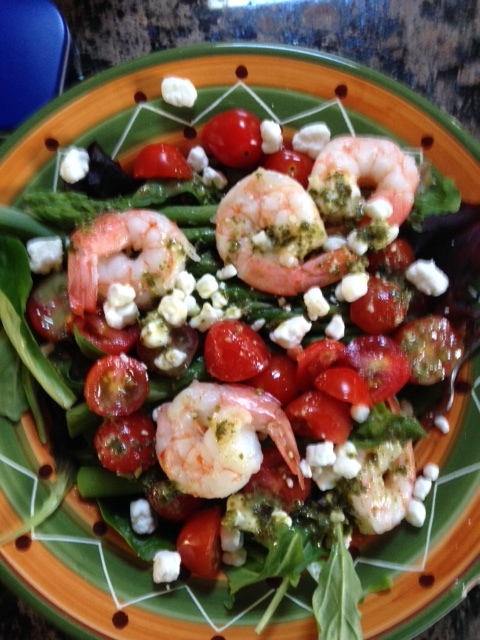 Top with asparagus, shrimp, tomatoes, and goat cheese (1/8 cup per serving). Pour dressing over the salads, add salt and pepper (as much or as little as you like) and enjoy! This recipe makes about 4 salads. 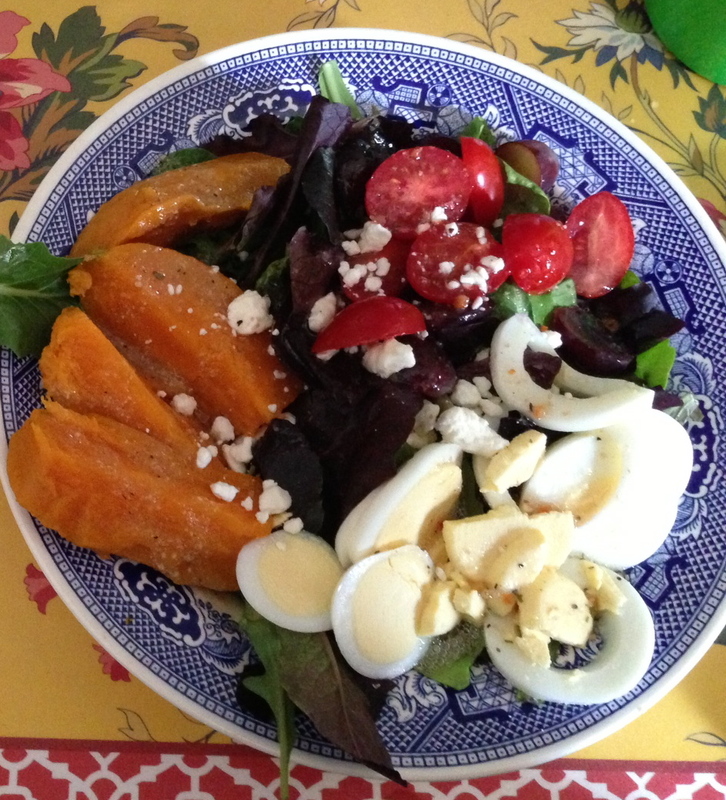 Weight watchers Points Plus 2012: 4 points for each salad! 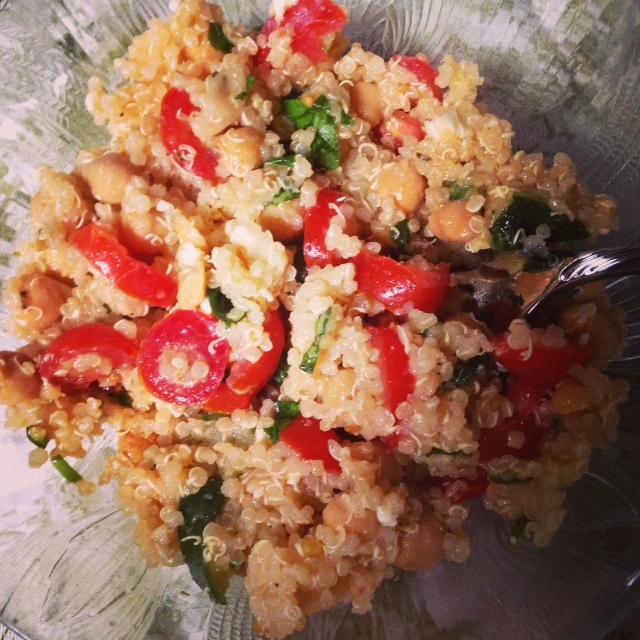 Each salad has about 21g of protein, healthy fats, and veg! 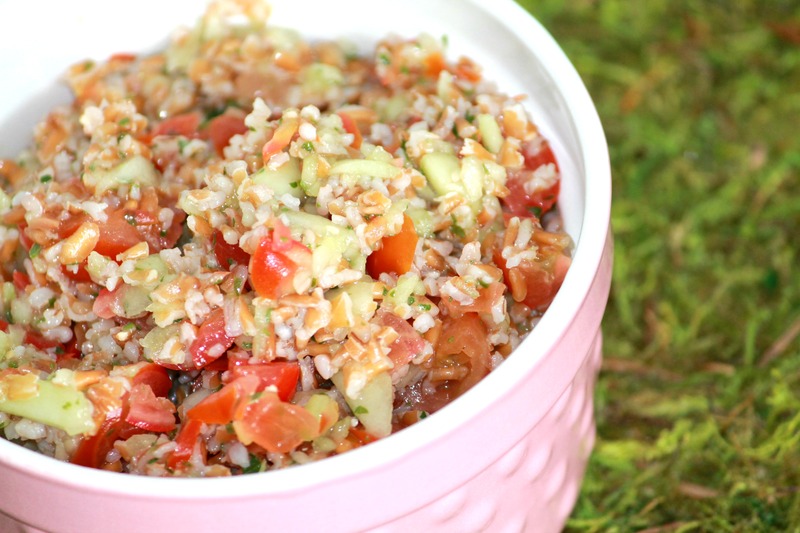 Serve with some fruit or a small yogurt for lunch or have this as an appetizer for dinner! I hope you try it and love it! 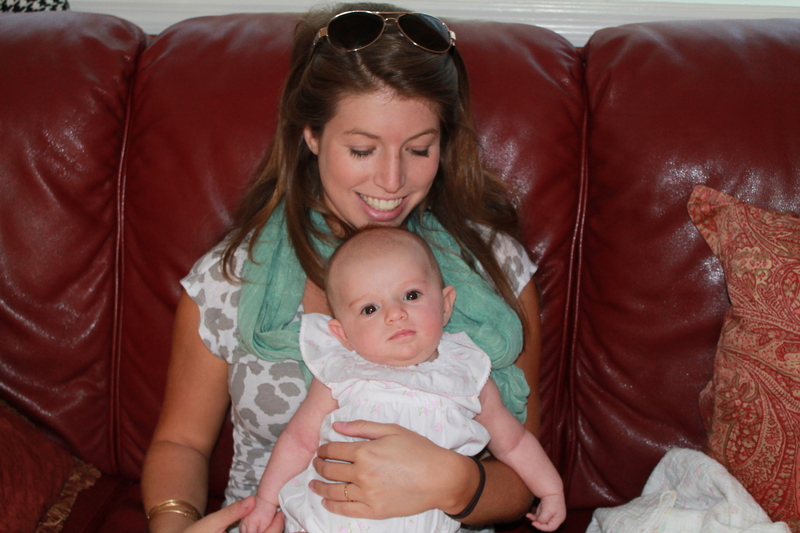 One of my best friends from college came to my new home for a lunch date with Luciana and me. She wore her beautiful smile, as usual! 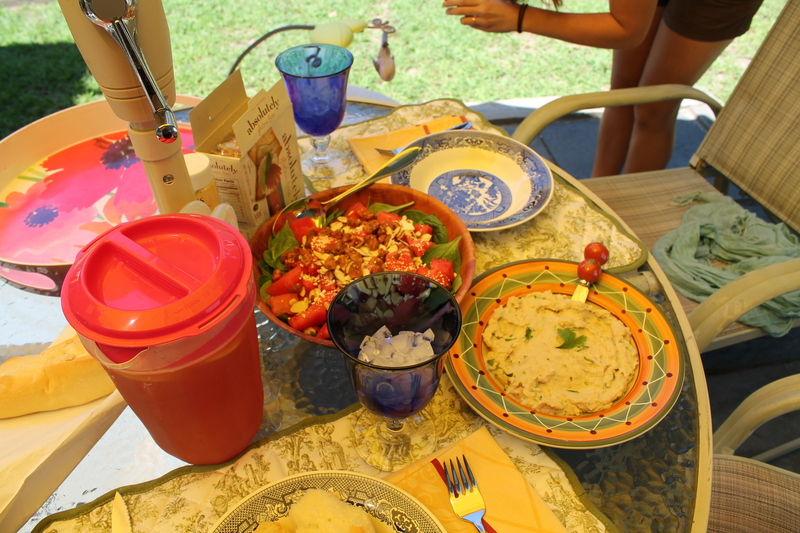 I prepared a lovely lunch for us that we ate in my backyard under our bright yellow umbrella! We enjoyed a yummy spinach salad with watermelon, feta, and candied walnuts, a white bean spread on a fresh french baguette (and some gluten free crackers for Katie), and some raspberry iced tea! I loved making special treats from scratch for such a special friend! 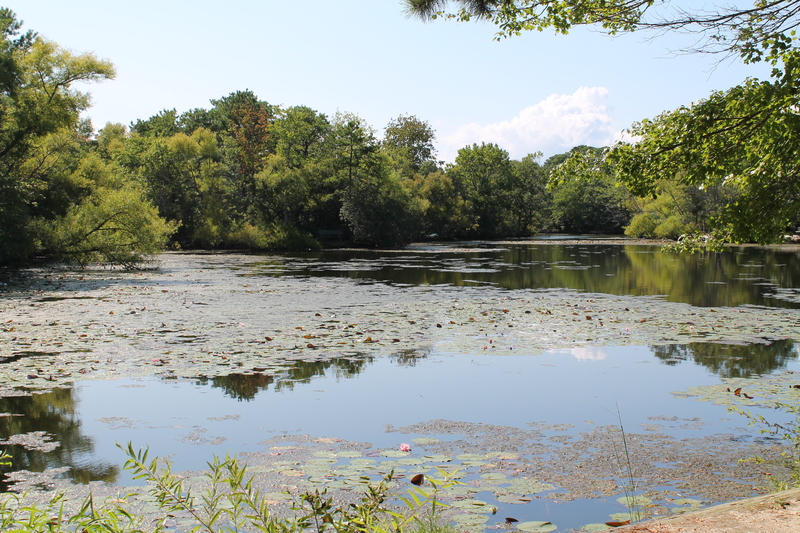 After our lunch we drove over to my favorite local park for a walk! 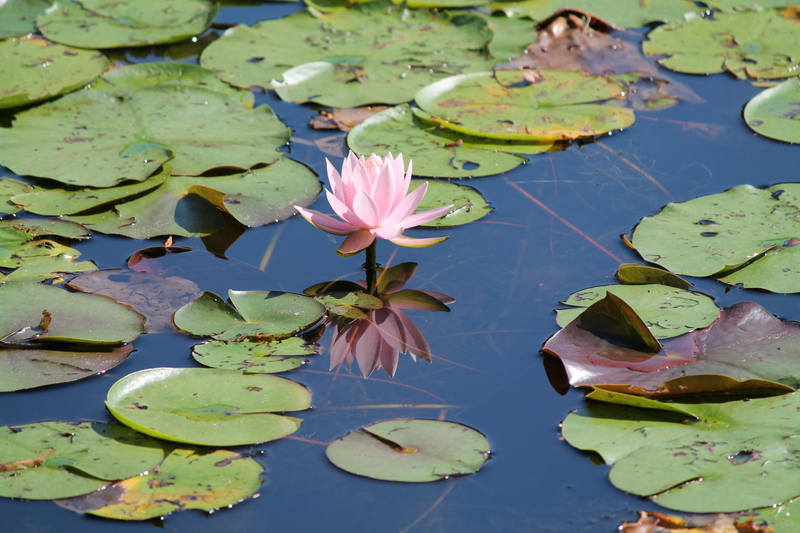 A few waterlilies were peaking out of the water, of which I snapped a photo, as usual! I love teaching my daughter how to maintain the friendships that matter, through example! We love you Katie. Thanks for visiting! 2 Great Salads, 4 Points each! These 2 easy salads have 3 of the same ingredients and 3 different ingredients; this makes for little waste, easier shopping, and easier points tracking! 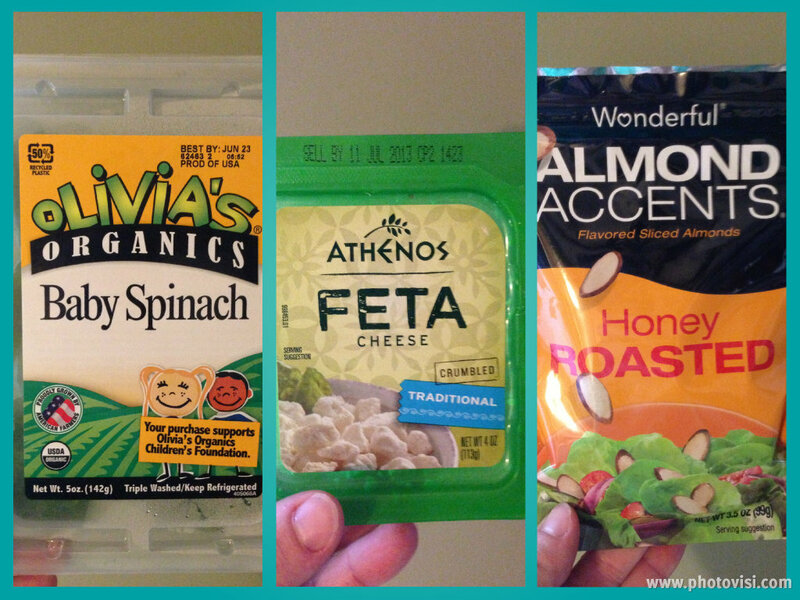 The 3 constant ingredients in the salads are Organic Baby Spinach leaves (1 cup), Crumbled Feta (1.5 tbsp), and Honey Roasted Almond Slices (1 tbsp). CLICK HERE FOR COUPON FOR ALMOND ACCENTS! 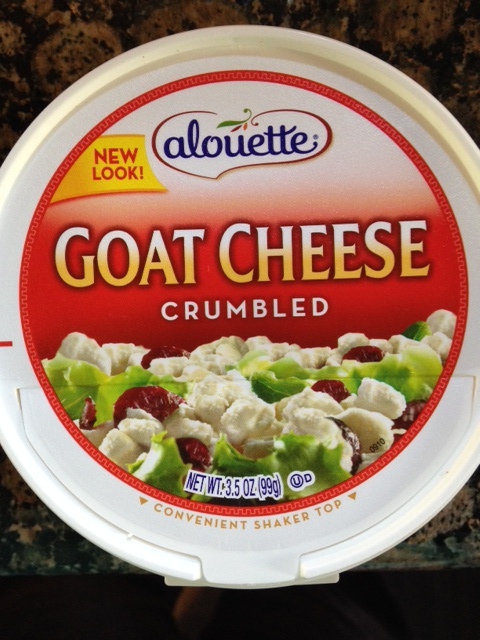 To make this salad, place the 3 constant ingredients (listed above) into the bowl. 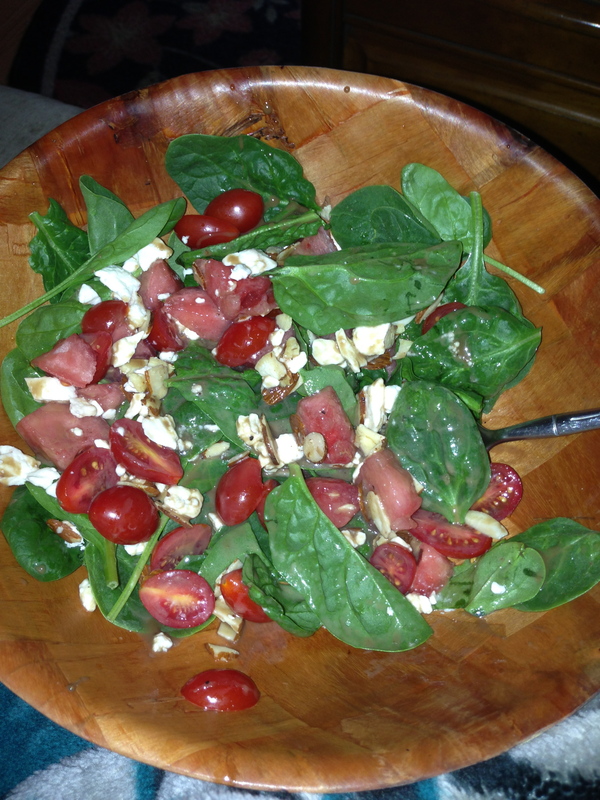 Add 1/2 cup of sliced tomato, 1/2 cup of cubed watermelon, and 2 tbsp of Ken’s Honey Balsamic Dressing! 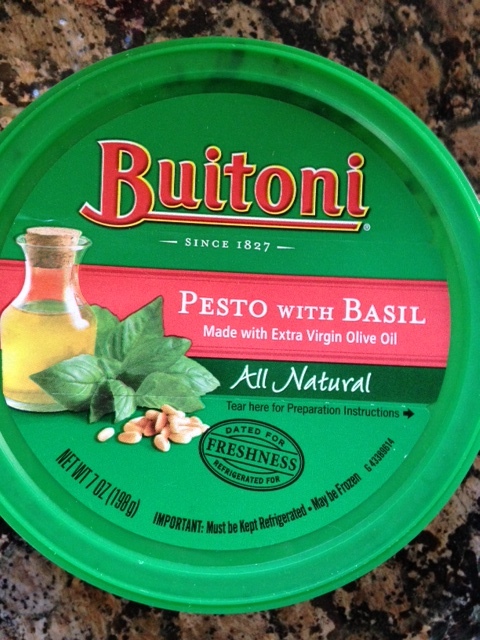 To make this salad, place the 3 constant ingredients (listed above) into the bowl. Add cucumber slices (about 1/4 cup), 1/4 cup of drained mandarin oranges, and 2 tbsp of Newman’s Own Low Fat Sesame Ginger Dressing! Weight Watchers Points Plus 2012: 4 points for each salad!! Enjoy a whole wheat roll and fresh baked cookie alongside of one of these salads to make a great lunch! Wash it down with my Blueberry-Lemon Iced Tea! The spinach is packed with antioxidants and the protein provided by the almonds and feta will help these salads keep you full until dinner! This salad got a MAKEOVER!! Come see it in its new home, Click Here!! Sorry for the inconvenience and thank you for coming by.